GUIDE | How To FRO-YO Like A Pro @ Yogurtland - EAT WITH HOP! 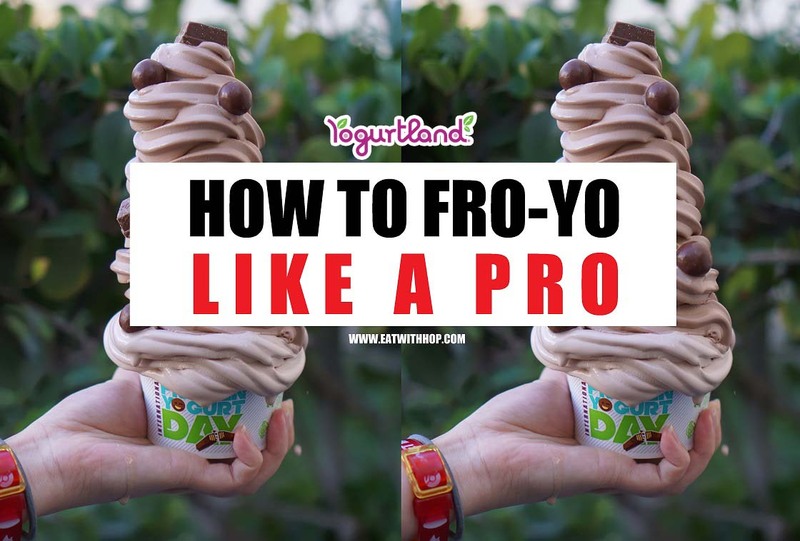 Here, I provide you the tips and tricks on how to FRO-YO like a pro! Brought to you by... YOURS TRULY...ME! I am a professional fro-yo swirler after all! Disclosure: I was invited to Yogurtland Headquarters and had the opportunity to get hooked up on some yogurt. All opinions are my own and tips and tricks are based on my many past experiences. I am a crazy Yogurtland fan. Like... SERIOUSLY I was so ecstatic when a Yogurtland opened even closer to me on Brookhurst/Chapman. I remember years ago when I first got a car, one of the few places I used my new driving privilege to do was to drive all the way to Yogurtland on Brookhurst/Adams in Huntington Beach. I was dedicated, y'all! That was far as heck but I still went there to hang with friends and get my fro-yo addiction! 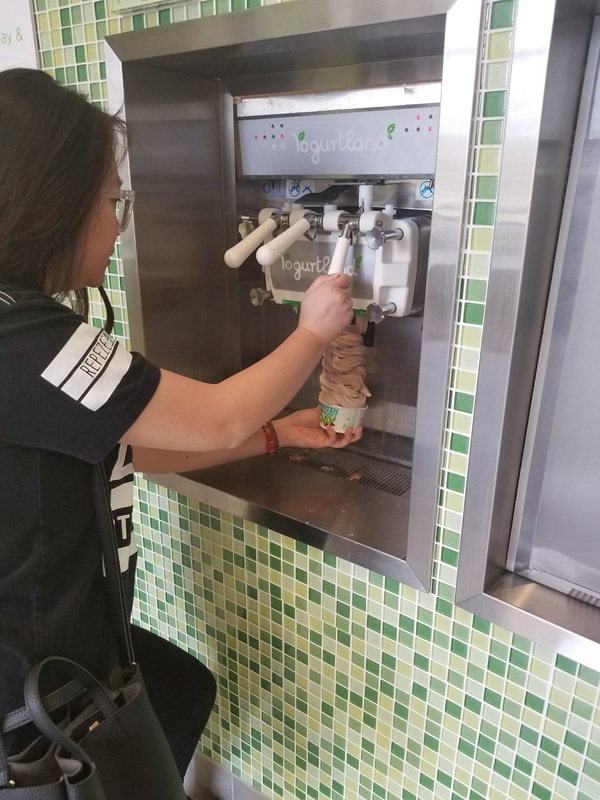 Every year, Yogurtland offers absolutely free yogurt to everyone at basically every location on International Frozen Yogurt Day which usually lands on some day in February. Obvi, I had to get my hands on this! I would wait in line at multiple locations that day and make the most of what it's worth by swirling as much as possible! I wasn't good at first and was a total noob, barely getting any yogurt and couldn't figure out how to add the toppings and make them stick. UNTIL I SAW THIS OTHER PROFESSIONAL FRO-YO SWIRL ARTIST IN LINE....He swirled multiple layers of flavors and put the toppings in the middle like a bossssssss. DAMN! After seeing that dude, I tried it myself! AND I DID IT! You see, On international yogurt day, Yogurtland offers free yogurt with a catch - only allowing you to get as much as you want in a 5oz cup which is quite small. So, to make the most of it, SWIRL UP AS HIGH AS YOU POSSIBLY CAN! Check out my previous swirls here and here at Yogurtland! Typically, the wait can be around 30 minutes up to 1 hour. I used to wait every year...LOL but a few days ago I was fortunate enough to be invited to the headquarters to try their newest flavors for the promotion: Kit Kat Frozen Yogurt and Whopper Ice Cream! Yay! So I thought I should share my tips and tricks with you on how to get the most of your Yogurtland experience during International Frozen Yogurt Day! Also, some franchises offer weekly $5 unlimited cup deals too (ex. Village of Orange location), so these tips would be great for that as well! Add the toppings into your cup first. Since you will be swirling up, it will be hard to add toppings on the outside. Trust me, they will probably fall off. Swirl your favorite flavors strategically. 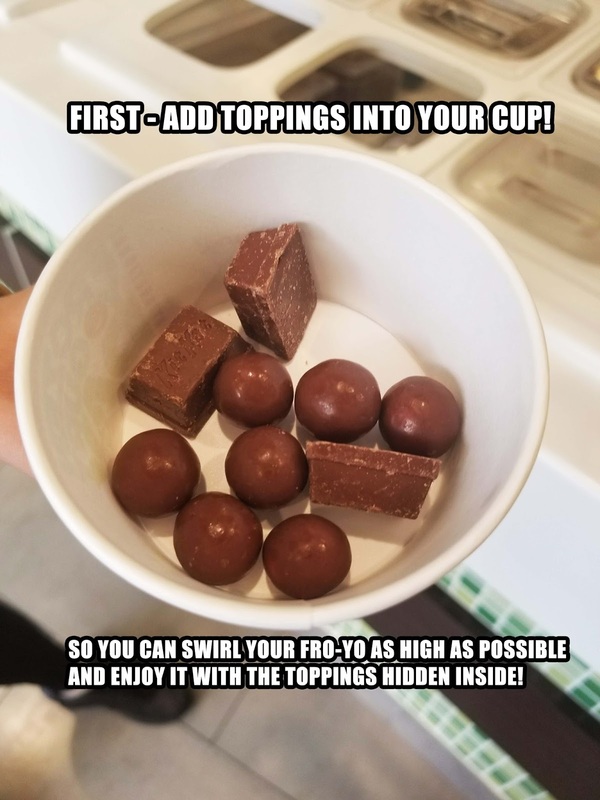 Make sure the swirl is covering the sides of the cup so that you leave space in the middle for more toppings. Swirl some more! 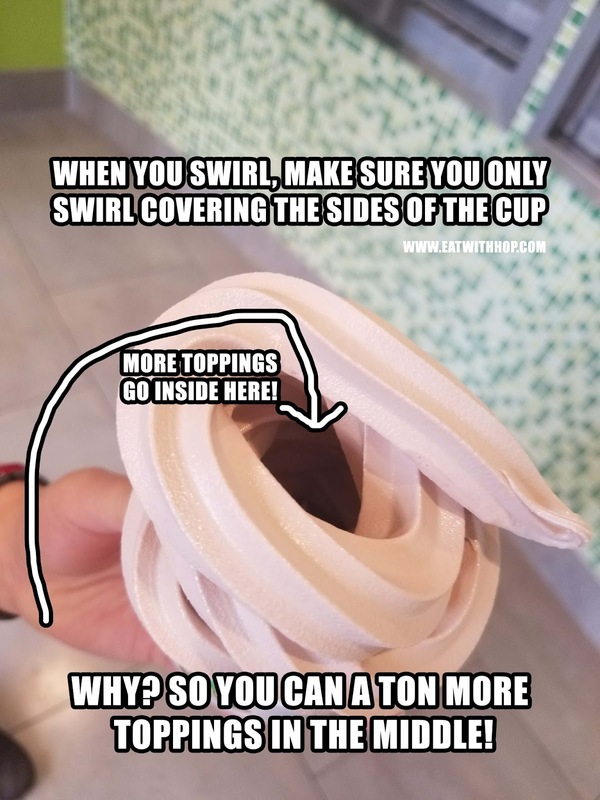 If this is your last swirl, you can close up the top! If you also wanna add toppings on top, make it a flat finish so that the toppings can just lay there. VOILA! YOU HAVE A BEAUTIFUL TALL SWIRL! Check out my previous professional swirls here and here at Yogurtland! International Frozen Yogurt Day for 2018 is on February 6. Guests can enjoy creating their unique fro-yo dream dessert from 4pm-7pm for free!